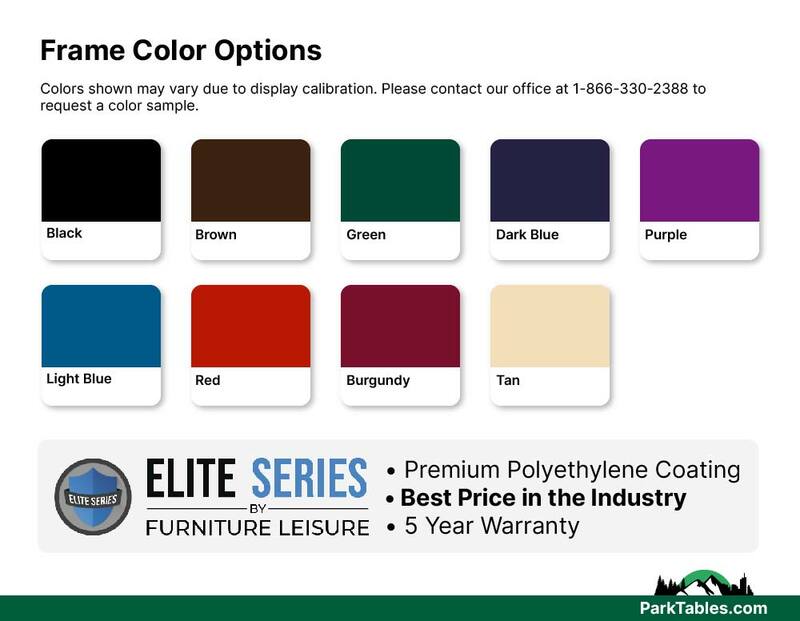 ELITE Series Round Solid Top Thermoplastic Metal Picnic Table, Seats 8 Adults, Portable, 291 lbs. This ELITE Series picnic table features a solid smooth top and expanded metal or perforated seats. The smooth top is easy to clean and makes a perfect writing or drawing surface for schools. 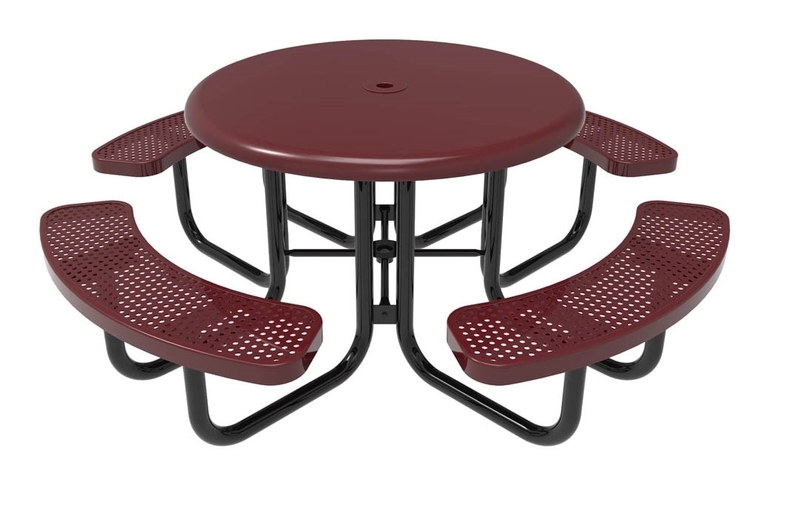 This picnic table will last for a long period of time due to the pre-galvanized structure with thick thermoplastic coating and xylan-coated hardware for extra strength and protection. Features UV stabilizers to prevent fading so it will remain vibrant for years. 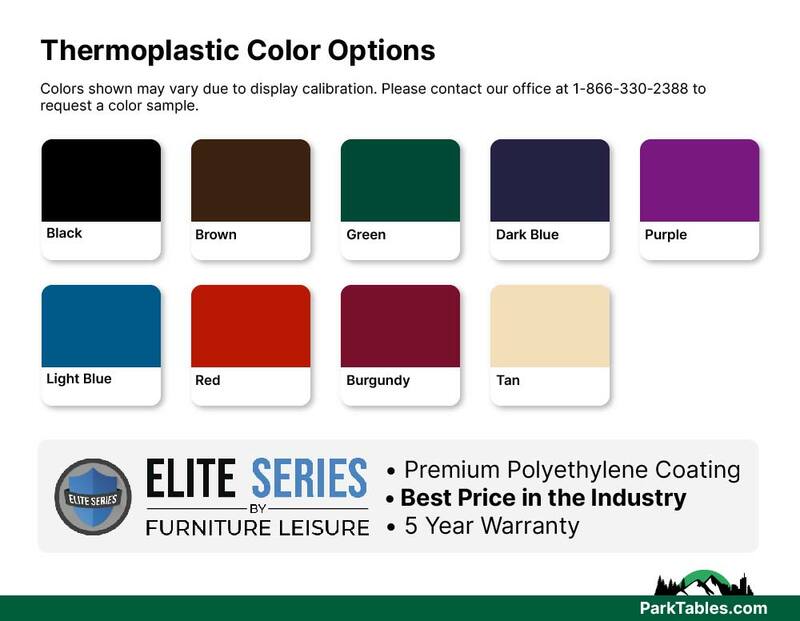 These tables are in stock and ready to ship. 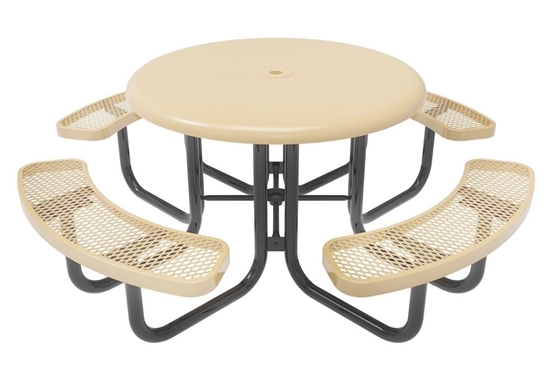 • 46" diameter round solid top with 4 attached seats. 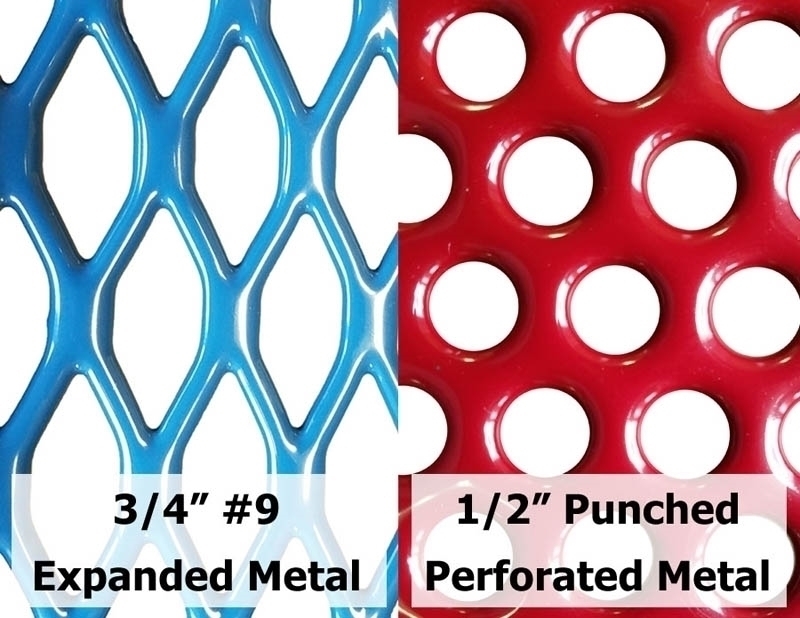 • 3/4" expanded metal or 1/2" punched metal seats. 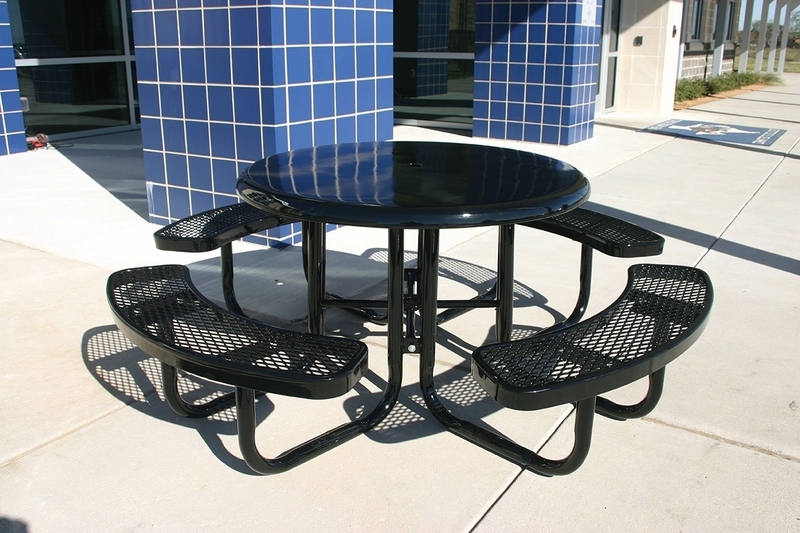 • 2" round tubing powder coated steel frame. • Portable frame for convenience. • Leaves the warehouse in 5 business days for Quick Ship. 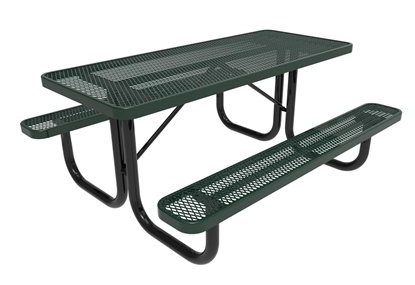 RHINO Rectangular 6 Foot Thermoplastic Steel Picnic Table, Portable, Seats 6 adults, 218 lbs.